Even rigged markets are entitled to a little rest now and then, wouldn’t you say? If so, they passed up the opportunity to do so on Friday ahead of a three-day holiday weekend. Instead, while nearly everyone in America was fixing to usher out summer in whatever way might retain its savor best , stocks were ratcheting higher with a cheerless determination that was about as laid back as a buzz saw. You can see this in the chart below. The Dow Industrials bottomed a little more than an hour into the session; then they forged ceaselessly higher until the closing bell imposed a mandatory, three-day time-out. If buyers are acting this aggressively in the lazy, hazy, waning days of summer, just imagine what they are capable of between now and Thanksgiving, when the country traditionally gets back to work with a vengeance. Whatever happens, and no matter how convinced we are that the stock market is forming a broad top, we’ve grown weary of trying to short it. Some would say we’re crazy to even try to get in the way of a bull that has been rampaging for 65 months. The Dow is on its way to 20,000, permabulls insist, so why try to swim against the tide? Maybe they’re right. Although we can think of a dozen great reasons why the Dow can’t possibly keep rising in the months ahead, the arguments would be the same ones we’ve made all along. The simplest and most compelling of them is that the stock market’s stellar performance has gotten way, way ahead of an economy that can’t seem to get off the launching pad. But that’s been true for years, and it’s difficult to imagine what might change this dynamic no matter how perverse it seems. As for the spurt in GDP growth alleged by the spinmeisters, we’re not buying it. What we see is stagnant wages, a housing recovery that is completely spent, budget tightening at all levels of government save federal, a manufacturing sector so out-of-practice that it’s unable to reap the full benefit of lower energy costs, and job creation that is egregiously sub-par in both quantity and quality. What’s left? As far as we can tell, only a car-leasing boom that has probably reached the saturation point. This post was published at Rick Ackerman BY RICK ACKERMAN ON SEPTEMBER 8, 2014. We warned here that the “Yes” vote for Scottish Independence was a “high risk” event, and as we noted earlier, with polls indicating its a high probability and ‘English’ leadership in full panic mode, it is perhaps not surprising that the British Pound opened down 160pips at 10-month lows… (a 500 pip drop in 3 days)… But, didn’t the clever people on TV tell us ‘it was priced in’? Bad for UK growth. Uncertainties over the economic prospects, policies and currency arrangements of an independent Scotland probably would hit growth in both Scotland and the rest of the UK (rUK), raising the incentive for firms to ‘wait and see’ or to expand elsewhere. Exports to Scotland account for roughly 4% of GDP for the rUK and Scotland would immediately be the rUK’s second biggest trading partner, slightly behind the US and slightly above Germany. Moreover, many banks and businesses have sizeable cross-border exposures between Scotland and rUK, and some firms may seek to limit such exposure as a hedge against the possible breakup of sterlingisation (if that is the policy adopted). This post was published at Zero Hedge on 09/07/2014. Hmmm…. this is a curious thing, you know. Secession, specifically. Scotland’s nationalists overtook opponents of independence in an opinion poll for the first time this year, sparking a government promise of more powers for the Scottish parliament less than two weeks before the country votes on whether to break up the 307-year-old U. K.
Yes, the government promised. Uh huh. And why promise now? How do you guarantee compliance? You can’t, and you won’t get it. If Scotland’s citizens believe these promises they’re fools. If the UK government intended to do any of this it would have done so without the threat of Scotland leaving. It didn’t, and therefore Cameron and the rest are ****ing liars. This post was published at Market-Ticker on 2014-09-07. As cities around the globe continue to grow far beyond their city limits, heavily patrolled perimeter fencing and high walls are becoming a common feature of the urban and suburban landscape. Intended to provide a sense of serenity and security for high-income city dwellers, gated communities are sprouting like transgenic mushrooms, including in relatively low-crime regions of North America and Europe. In the United States alone more than 11 million housing units – equating to roughly 10 percent of the country’s housing stock – are in gated communities, according to 2009 Census Bureau data. What’s more, it’s a trend that’s picking up pace, with gated communities accounting for more than half of all new housing developments. Americans are electing to live behind walls with active security mechanisms to prevent intrusion into their private domains. Americans of all classes are forting up, attempting to secure the value of their houses, reduce or escape from the impact of crime, and find neighbors who share their sense of the good life. The new fortress developments are predominantly suburban, with a growing number of urban inner-city counterparts. A similar trend is taking place across many European nations, in particular in France, the UK and Poland. In the UK more than 100,000 residents have abandoned the open city model of the 20th century to make new homes behind fences and walls on estates modeled on American ones. A perfect case in point is the outer-London St George’s Hill estate, which has been described as Britain’s answer to Beverly Hills. Houses on the complex, with its gravel drives, manicured lawns, private tennis club, gym, bars and restaurants, change hands for up to 13 million ($18 million) a piece. 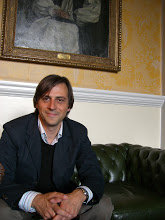 This post was published at Wolf Street by Don Quijones ‘ September 7, 2014. We all know the story of Ali Baba and the 40 Thieves. Poor woodcutter Ali Baba discovers the 40 Thieves’ secret cave where they stashed all their ill-gotten wealth. Various adventures follow, with the loyal slave girl being the heroine who repeatedly saves Ali Baba from death at the hands of the Thieves and their resourceful, cunning leader. On the current stage, the drama being played out is that of Chinese Internet company Alibaba, which is set to go public on the U. S. stock market next week in a staggering $21 billion IPO (initial public offering). Many market pundits expect the current rally in stocks to continue through next week, if for no other reason than to insure the investment banks dump all the Alibaba shares on a credulous public at full pop. Alibaba To Raise $21 Billion In Historic IPO. The IPO share price of between $60 and $66 would peg Alibaba’s value around $160 billion. Behind the rah-rah, Alibaba’s fair market value is problematic: What’s an accounting puzzle like Alibaba (really) worth? As the world’s largest e-commerce company prepares to go public, its murky financials don’t make it any easier for investors to figure out the company’s value. This post was published at Charles Hugh Smith on SUNDAY, SEPTEMBER 07, 2014. Prominent gold bears like Goldman Sachs’ head of commodities research Jeffrey Currie just about have to be disappointed with the action in gold metal recently. Consider the chart below for reference. What that chart is showing us is that since early July the U. S. Dollar Index (DXY) has blasted a big 400 basis points higher, a huge move for a currency index, but for the period gold, represented in the chart by its proxy, GLD, has only drifted 4.7 percent lower. 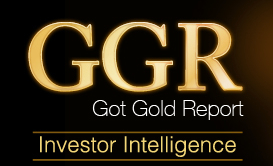 This post was published at GotGoldReport on Sunday, September 07, 2014. During the first and second quarters of 2014, the velocity of the monetary base was at 4.4, its slowest pace on record. This means that every dollar in the monetary base was spent only 4.4 times in the economy during the past year, down from 17.2 just prior to the recession. This implies that the unprecedented monetary base increase driven by the Fed’s large money injections through its large-scale asset purchase programs has failed to cause at least a one-for-one proportional increase in nominal GDP. Thus, it is precisely the sharp decline in velocity that has offset the sharp increase in money supply, leading to the almost no change in nominal GDP. A (gloomy) economy after the financial crisis. It’s not ‘Credit Crisis 2′ but Europe is in rough economic waters again. Even anemic growth has evaporated and the eurozone risks slipping back into recession. The euro has fallen 5% against the dollarover the past three months. This post was published at Investment WatchBlog on September 7th, 2014. Curious why everything is being bought in the aftermath of last week’s ECB’s unprecedented announcement, and both bonds and stocks are either at or just shy of record highs ignoring completely the worst US nonfarm payroll print of 2014? JPM’s Nikolaos Panigirtzoglou explains why. The ECB President stated in this week’s press conference that the ECB’s forthcoming programs, i.e. TLTROs coupled with ABS and covered bond purchases, could take the ECB’s balance sheet back to early 2012 levels, i.e. to 3tr from 2tr currently. These remarks, not only suggest that the ECB might have a target in mind regarding the size of its balance sheet, but raise questions about the boost to global liquidity from prospective ECB actions. In aggregate, G4 central balance sheets started rising rapidly from the end of 2010 driven by the Fed’s QE2 followed by the BoE’s QE, ECB’s LTROs, Fed’s QE3 and BoJ’s QE. As a result of these central bank actions, G4 central bank balance sheets expanded by almost $4tr over 4 years i.e. by $1tr per year since the end of 2010 (Figure 1). With the ECB aiming at a 1tr expansion of its balance sheet, this $1tr per year pace in G4 central bank balance sheet expansion is likely to increase rather than decrease from here, despite the Fed’s tapering. The BoJ is already expanding its balance by close to $650bn per year, so adding a similar pace of increase for the ECB’s balance sheet (500bn or $650bn per year) should result in an annual pace of G4 central bank balance sheet expansion of $1.3tr, even as the Fed ceases bonds purchases. This post was published at Zero Hedge on 09/07/2014 –. Big money investors pull out of California dramatically: Large purchases from LLCs and LPs for trustee sales are down by over 80 percent from peak reached in 2012. Follow the big money has been an adage on Wall Street for many decades. If that philosophy holds true for real estate as well, big money investors are signaling something regarding California real estate. Big investors have entered the single family housing market in a way that is unparalleled in history. We truly are in uncharted waters here. It is clear that the investors pulled the market up from the graveyard and gave it a substantial boost. It is no surprise then, as investors exit the California housing market that sales have waned and inventory has slowly started to pick up. A good way of seeing big money demand is to look at purchases made under LLCs or LPs since these are your big money Wall Street and hedge fund players. They are interested in deploying large sums of money versus your crap shack aspiring flipper or buyer. 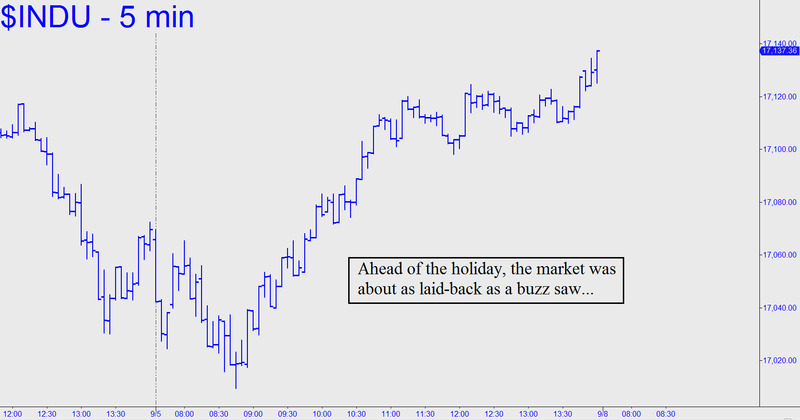 What is clear is that large buyers have pulled back in a dramatic fashion. Wall Street is obsessed with profitability and examines things like price-to-earnings ratios. For rentals, your earnings come from rents and your price is the market value of a home. Simple enough. The fact that housing values inflated very fast has put the question of valuation to the forefront of these big investors that scour the numbers carefully. The results? Purchases from LLCs and LPs are down by over 80 percent from their peak in 2012. This post was published at Doctor Housing Bubble on September 7, 2014. 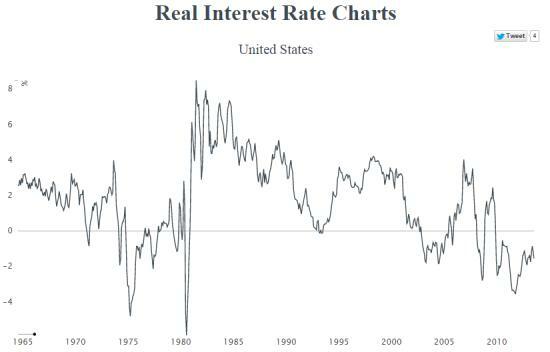 The folks at Gresham’s Law just published a nifty interactive chart of real (i.e., inflation-adjusted) interest rates since the 1960s that explains a lot about today’s world. To make sense of this, let’s start with a a little background: Interest rates are the rental cost of money, but to figure out the true cost you have to adjust the nominal (or numerical) interest rate for inflation, which is the rate at which the currency being borrowed is falling in value. If the nominal interest rate is higher than inflation, then the real interest rate is positive. If the real rate is both positive and high, that’s a signal that money is expensive and that one is better off being a lender (to reap those high returns) than a borrower (who has to pay the high true cost of money). The opposite is true for negative real rates, where the nominal cost of money is lower than the rate at which the currency is being depreciated. In this case a borrower actually gets paid to borrow because the true cost of the loan falls as the currency loses value. So negative real rates tell market participants to borrow as much as possible. This post was published at DollarCollapse on September 7, 2014. It appears there is another nation on planet Earth that is becoming isolated. One by one, Russia and China appear to be finding allies willing to ‘de-dollarize’; and the latest to join this trend is serial-defaulter Argentina. As Reuters reports, China and Argentina’s central banks have agreed a multi-billion dollar currency swap operation “to bolster Argentina’s foreign reserves” or “pay for Chinese imports with Yuan,” as Argentina’s USD reserves dwindle. In addition, Argentina claims China supports the nation’s plans in the defaulted bondholder dispute. Argentina, which defaulted on its debt in July, will receive the first tranche of a multi-billion dollar currency swap operation with China’s central bank before the end of this year, the South American country’s La Nacion newspaper reported on Sunday. Both the technology, along with the acceptance of it, might be farther along the development curve than many believe to foster such dramatic changes. Along with the availability for near immediate implementation pushing aside earlier distrust or fears of acceptance adding incentive to ‘employ’ now rather than later. Financial Services contributed 8.8bn to the Scottish economy in 2010 or over 8% of Scottish onshore economic activity. Financial Services direct supported 85,000 employees and indirectly provided jobs for 100,000 more, accounting for around 7% of total employment. Banking, as a sub-sector of the Financial Services is the largest contributor to the Scottish economy adding over 4bn, or nearly half of the total financial services contributions. Adding to the financial services the associated professional services combined broader financial services sector employs a total of 148,600 people, or 6.1% of total Scottish employment, contributing over 14bn to the economy, 13.1% of Scottish GDP. More than 40% of Scottish postal services & almost 30% of Scottish accountancy services are sold to the Scottish financial sector. Almost 19.4% of all ‘other business services’ in Scotland are supplied to the financial services contractors, 18.7% of all advertising, 18.2% of computing services, 18.1% of real estate services, 17.6% of printing and publishing, 20% of research services, 16.3% of legal activities, 16% of telecommunications, and 13.4% of air transport services. This post was published at True Economics on Sunday, September 7, 2014. Another US political candidate is advocating the use of Bitcoin. Instead of just accepting the crypto-currency for donations, this candidate has taken it one step further. Alex Fidel is running for mayor in the city of Encinitas, California, a suburb of San Diego famous for its surf culture and the YMCA skate park. One of the 22-year old candidate’s main talking points is the nullification of legal tender laws by elevating the importance of the US Constitution’s Tenth Amendment. ‘I would nullify legal tender laws and money exchange laws to allow individuals to engage in the currency of their choosing, whether it be gold, silver, copper, Bitcoin, voluntary exchange, or even the devaluing Federal Reserve Note dollar system for those that wish to stick with the pyramid scheme,’ the candidate wrote on his Facebook page. That’s a lot of upheaval. So what does this all mean? ‘You wouldn’t be a slave to the dollar system,’ the candidate says. This post was published at Dollar Vigilante on 2014/9/7. Is the era of high inflation gone forever? In a world of slow growth, high debt, and tremendous distributional pressures, whether inflation is dead or merely dormant is an important question. Yes, massive institutional improvements concerning central banks have created formidable barriers to high inflation. But a significant part of a central bank’s credibility ultimately derives from the broader macroeconomic environment in which it operates. In the first half of the 1990s, annual inflation averaged 40% in Africa, 230% in Latin America, and 360% in the transition economies of eastern Europe. And, in the early 1980s, advanced-economy inflation averaged nearly 10%. Today, high inflation seems so remote that many analysts treat it as little more than a theoretical curiosity. They are wrong to do so. No matter how much central banks may wish to present the level of inflation as a mere technocratic decision, it is ultimately a social choice. And some of the very pressures that helped to contain inflation for the past two decades have been retreating. In the years preceding the financial crisis, increasing globalisation and technological advances made it much easier for central banks to deliver both solid growth and low inflation. This was not the case in the 1970s, when stagnating productivity and rising commodity prices turned central bankers into scapegoats, not heroes. True, back then, monetary authorities were working with old-fashioned Keynesian macroeconomic models, which encouraged the delusion that monetary policy could indefinitely boost the economy with low inflation and low interest rates. Central bankers today are no longer so naive, and the public is better informed. But a country’s long-term inflation rate is still the outcome of political choices not technocratic decisions. As the choices become more difficult, the risk to price stability grows. As of the first week of September gold investors have good reason to feel depressed; gold is down $50 since August 07th with no sign of the long expected turnaround. Still, for all the depressing market psychology we gold bulls must currently endure, technically things are not all that bad when we step back and take a longer term view of gold’s bull market and step sum. In the chart below, do you see the bears having any success in driving the price of gold down below its December 2013 lows ($1188)? Not really; gold has been in the same trading range for the past fifteen months. However the big banks have been successful in doing what the bears needed done; killing any enthusiasm in the gold market. No matter; the long-term picture shows our bull market in gold is still intact.